May this Rakshabandhan bring all the properity into your brothers life. 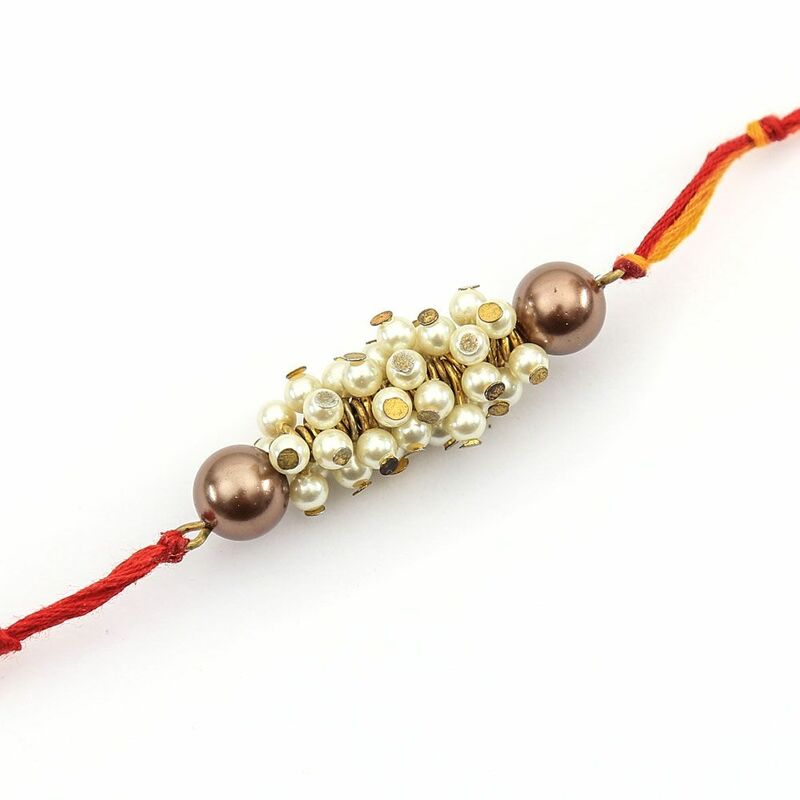 Tell him how much he means with this exquisite pearl studded Rakhi. This Collection of Rakhis is handcrafted using silk threads and colorful details which add color to the vibrant festivities of Rakshabandhan.